Double strips of adhesive tapes to prevent movement in bra. Soft lining edge to prevent leakage while provides extra softness and comfort. Soft elastic side to create natural contour fit in bra. Made of super absorbent, soft and air-through material to provide great protection while keeping skin and clothes dry. 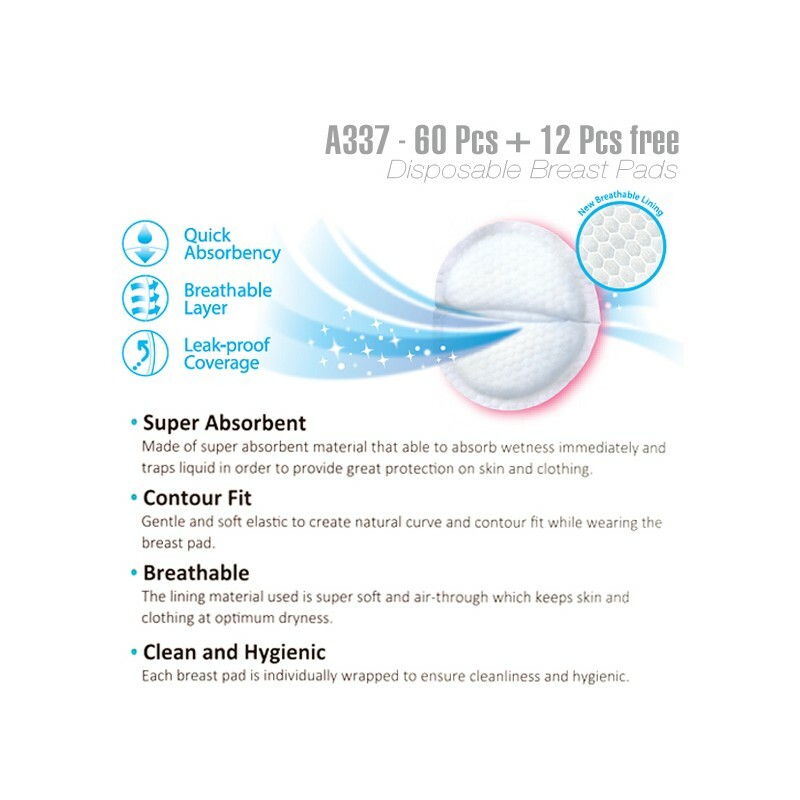 Each breast pad is individually wrapped to ensure cleanliness and hygiene.